Harrison Hot Springs Elementary School is pleased to announce that our class will be participating in the Project. We have had a lot of support from the local Miami Stream Keepers and are moving forward with the project. 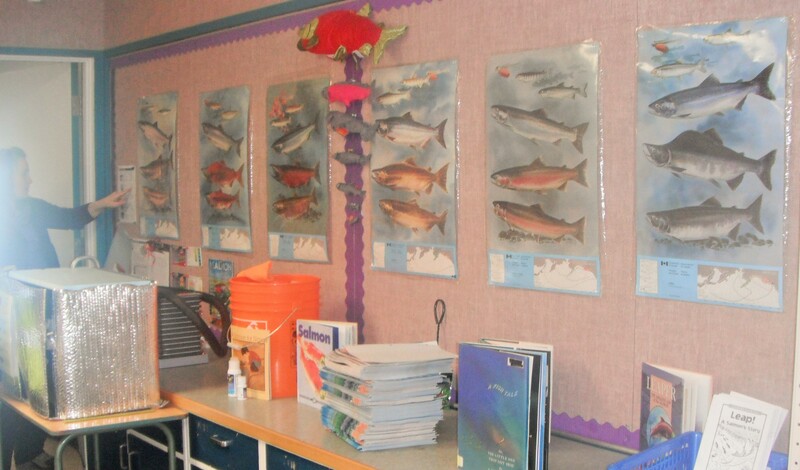 Raising salmon in the classroom is an opportunity to teach students to understand, respect and protect freshwater, estuarine and marine ecosystems, and to recognize how all humans are lined to these complex environments. 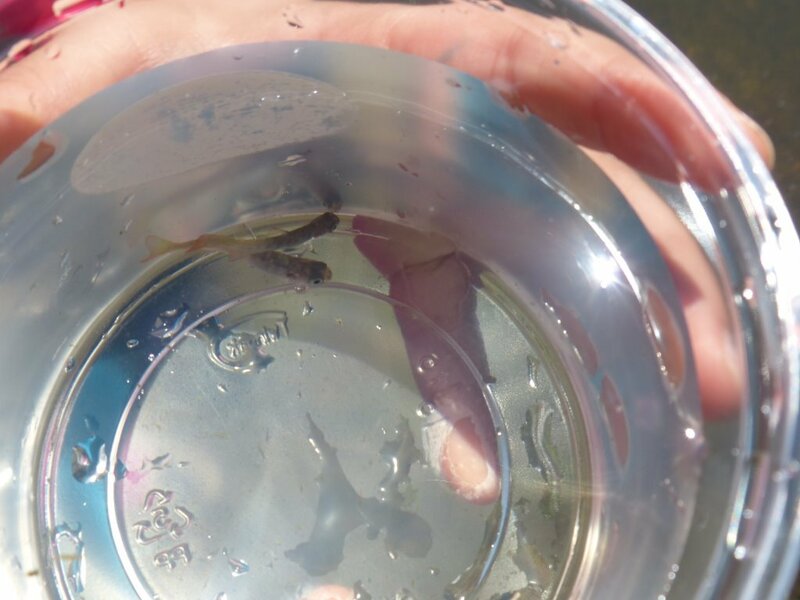 The project was undertaken by the Grade 2 and 3 students at the end of January 2015 when the fish eggs were delivered. Miami River Streamkeepers received grant money from the Pacific Salmon Foundation to help finance the project. Four members of the Miami River Streamkeepers viewed the newly set up operation on Feb 4, 2015 . The Chilling Tank is kept at a constant temperature and is covered with an insulated wrap to keep the light out. The children test each day to make sure the temperature is between 5 & 10 C. The students also check th ATU (Accumulated Thermal Units) by adding each day’s temperature to the previous day’s total temperature. The second time the streamkeepers went for the viewing was Mar 2,2015. The eggs had not hatched yet but Mrs Emsley said she comes in even on weekends to check the temperature and the progress. There is information about fish up on the walls and everyone is very enthusiastic about the whole process of the fish cycle. We just noticed on the Harrison Hot Springs Elementary School site that six of the eggs have hatched and are now in the alevin form.